Blogger is out -- long live the new Blog! Head now over to http://www.root42.de/blog and get all the same content you had here! I have a Waveshare 3.5" TFT touch screen for the Raspberry Pi. Those displays come with some software to help set it up. Sadly, this only works for Raspbian based on Debian 7. The new Raspbian Debian 8 (Jessie) does not play well with this setup. So here is what I did to make it work. 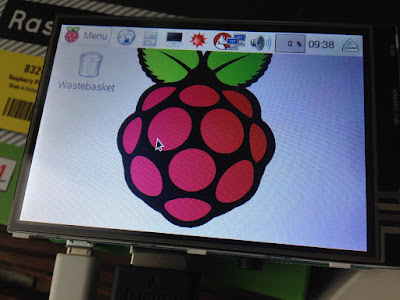 I've got the new Raspberry Pi 2, and was setting it up the other day. The first thing that annoys me with vanilla Debian installations is that they don't have mDNS/zeroconf/avahi enabled by default. This technology is very useful, since it helps you to advertise services on you local network, lets you resolve host names without the need for setting up a DNS server and much more. Especially the convenience of not having to remember IP-addresses for your machines is worth the work to set this up. With DHCP you might not even get the same IP for every machine every time. For this to work, I asked a question over at the Linux & Unix StackExchange. So parts of this blog entry are taken from there. There is probably already a line starting with "hosts:", which you can simple comment out with the #-sign. This should let you use mDNS on you Pi, see the advertised services on you other machines in the local network. If you are using Plex Media Server (see this great post), it will also utilize avahi to advertise its services. f3 - Runs ff-find-other-file, trying to switch between header and implementation for C/C++ programs. f4 - Toggles the last two used buffers. f5, f6 - If tabbar is enabled (tabbar-mode), navigates back/forward through tabs. f7 - Toggle ispell dictionaries (german/english). f8 - Kill current buffer. M-n - Go to next error in compilation buffer. M-S-n - Go to previous error in compilation buffer. 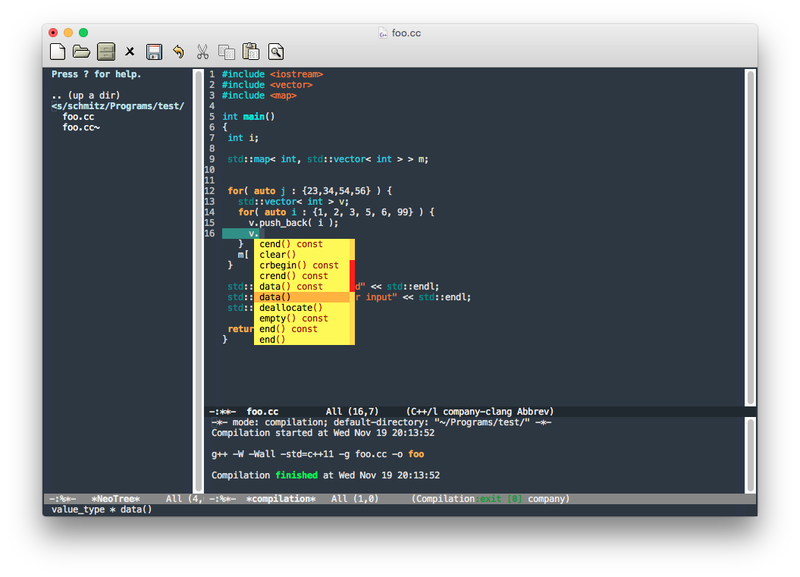 M->, M-< - Go to next/previous Emacs frame. 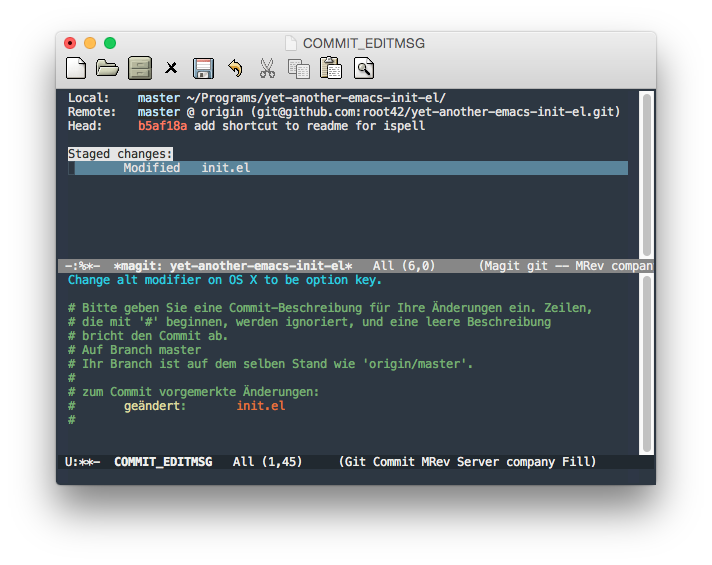 M-/ - Run autocompletion using company mode. Currently I am evaluating the integration of lldb into Emacs, but haven't come far enough to say that I have found a powerful and flexible interface, apart from the standard command line. So there's more to come, hopefully!